I have been doing this writing/reporting/interviewing job for a while now. One of the first things I learned was, even at the risk of making myself sound dumb, I always try to admit my lack of knowledge about something and ask the questions needed to amend it. This is a good general policy and, in my case, it is important for very selfish reasons. If I don’t know something and ask a dumb question to get the answer, I look silly to that person. If I do not ask the question and write about something I do not really know about, then I instead end up looking silly to thousands of readers. A lack of understanding has a way of compounding problems moving forward. In short, if you don’t know, do the leg work to find out the answers before you take action. 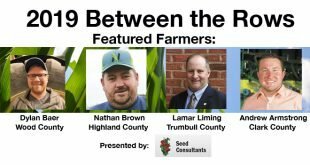 Thus far, Ohio agriculture has been pushing (fairly successfully) for this very strategy in terms of the ongoing water quality challenges in the state. That appears to be changing, though, as political pressure to address the complex problem increases. If I took a poll, I would imagine that 100 out of 100 Ohioans would want to drastically reduce or eliminate harmful algal blooms in Ohio’s lakes. Zero out of 100 Ohioans would definitively know how to accomplish that goal, though I am sure some would act like they had the solution without really knowing the answer. One of those Ohioans, apparently, would be Gov. John Kasich. There have been agricultural rumblings about this for awhile now, but last month in the Cleveland Plain Dealer it said this: Kasich, speaking to Ohio newspaper publishers Wednesday, said he was disappointed the legislature hasn’t acted to further restrict fertilizer application, which directly contributes to algal blooms in Lake Erie…Kasich said he supports farmers, too, but something should be done to address the minority of farmers who pollute the lake. Kasich spokesman Jim Lynch said an executive order is in the works, but the details have not yet been determined. John Kasich: So sir, you know, part of leadership is not just to bang the table and get out a sledgehammer to get your way. I think we’ve seen a lot of that lately. It doesn’t work very well. So that’s the way that I lead, and we’ll see where this goes. And when you raise phosphorous, that’s all from fertilizer, okay? I answered that question. So you came up with these terms or whatever and I’m telling you we’re working on it. And we are reducing, but we’re going to have to have even more action done. John Kasich: No, no, no. We’ll have regulatory action, okay? …. And by the way I would probably have to do it unilaterally because we’ll never get it through the legislature, okay? The interview, though embarrassing, will be algae under the bridge compared to the perceived foolishness of the Kasich Administration after passing executive orders to fix the problem and inevitably failing. After running a campaign and getting elected as governor (twice) on an anti-regulation pro-business platform, it seems shortsighted (at best) for Kasich to throw in some late-term regulations that will undoubtedly add bureaucratic hoops for farmers to jump through and undoubtedly NOT solve the problem of harmful algae in Lake Erie. Piling more rules on agriculture — already among the most heavily regulated industries in Ohio — is not the answer. The slow progress in improving water quality is understandably frustrating for residents of places like Toledo where issues with harmful algae in the water are a part of life and there is no doubt political pressure is mounting. 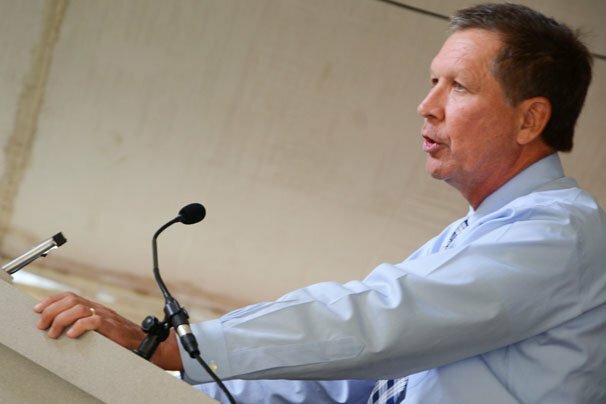 Kasich is likely yearning for the support of the 100% of people who want to improve water quality as he considers another presidential run after his time as Ohio’s governor is up. But throwing together regulations that are not based on the reality of what is happening will not make the water better any faster. Those regulations will only succeed in bogging down rural Ohio and upsetting rural America. Who was it that won the presidential election for Donald Trump again? Kasich has already illustrated his lack of understanding regarding agriculture and water quality numerous times, and I think if he does make a run for the White House he’ll find that an August/September algal bloom is not all that far removed from the November elections. By taking the plunge into the murky waters of more nutrient regulation, any future “Kasich for President” campaign may end up focused less on red states and blue states, and more on the green water in one state.